Thailand’s newest elephant sanctuary is being billed as an old folks home for aging elephants. Located in Lampang province, the Pang-La Nursing Home for Aged Elephants, will join two already established elephant sanctuaries in housing and caring for aging elephants. The newest sanctuary due to open at the end of November will be situated in the Ngao district of Lampang on roughly 375 acres of land supported by it’s own small river. This newest endeavor will be run by the Forest Industry Organization ( FIO ) which also runs one of the other elephant hospitals in the province. 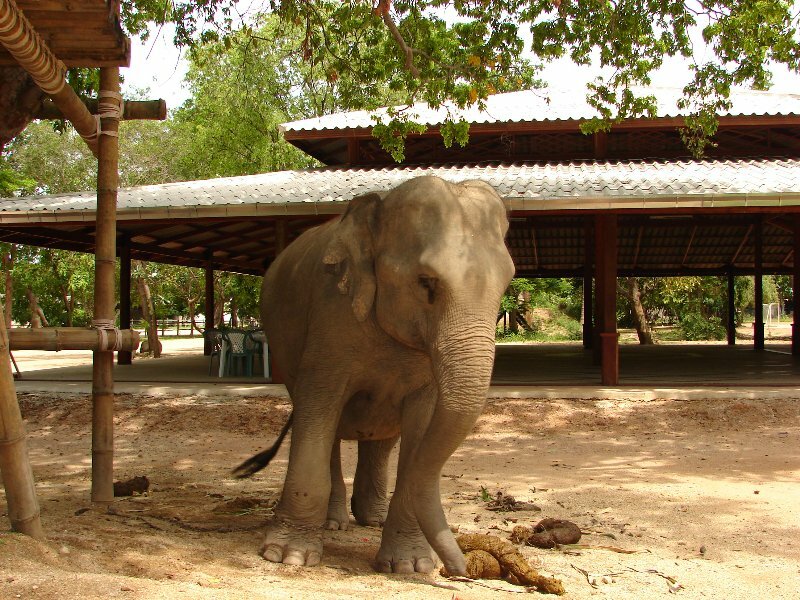 The other sanctuary/hospital in the province is operated by a private charity, The Friends of Asian Elephants Society. The new FIO nursing home for Thai elephants already has thirty residents at the facility and plan to house as many as 200 elephants in the future. These elephants are all old and disabled veterans of the now defunct forestry industry that ended with government bans on logging. This new sanctuary will guarantee that Thailand’s aging elephant population will have a safe and secure home to live out the rest of their lives in peace. Since the 1950’s Thailand’s domestic elephant population has dropped significantly from just over 13,0000 to today where it stands at roughly 2500. Through the efforts of the FIO , the Friends of the Asian Elephants organization and the Chang Yim project ( Smiling Elephant ) Thailand is slowly but surely trying to take care of and preserve it’s one true national treasure. While there are still many elephants in the tourist industry and in private hands being touted through city streets for profit one can only hope that every new effort to take care of these gentle beasts sends a ripple through the country that calls the people to action to save this beautiful icon of Thailand. Sad to think of a Thailand with a shrinking elephant population. But as the human population grows, it pushes out the wildlife. And as the aged elephants die off, the sanctuaries won’t be needed either. Then Thai elephants will only been seen in zoos. Sigh. Such gloomy thoughts. It feels like a Monday. Those are gloomy thoughts, but hopefully the sanctuaries will change focus at some point to not only saving these beautiful animals but perhaps breeding them. Talen nice to see a bit of positive action. I hope this and other projects are not too little too late. It is nice to see that efforts are being made but unfortunately I think they are a little late…the 1960’s or 70’s would have been a better starting point. Talen I recently had the pleasure of photographing a couple of elephants on my recent Thailand trip. It was a great experience. This is another step in the right direction to preserving as you put it Thailand’s beautiful icon and I hope it works and is not too late. I don’t know the breeding capabilities of older elephants but I guess it’s not good. Let’s hope some of the other projects bear a new born calf or two and the ones like the Lampang project add years to the lives of the elder generation. I love the top photo but I hope he’s not going to play around with that using his trunk. I took a lot of pictures of that elephant and the same thing crossed my mind with every click and then I thought ” What if he’s in the throwing kinda mood” That’s when I moved on. It is good to see that there is something done for the elephants.